When you hear web development do you think- tech nerds sitting inside closed doors…plotting away at your expense? Yikes! You are not alone. Well breathe easy, at Digital Arm – we speak your language. Our web developers love to brainstorm and collate all the new ways to develop and build the ‘perfect’ web site for you. We are focused on saving you money and delivering a business website that far exceeds your expectations. We have been developing professional, elegant and superior websites for over 3 years and our success is best illustrated by the many referrals and repeat clients we serve in the Adelaide business community. 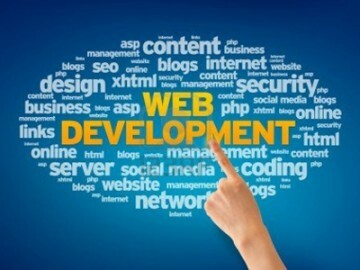 Do you need someone to look after your web development project? Contact Digital Arm today!